WordPress is an excellent tool for newbie bloggers. It’s simple to install and straight out of the box offers an easy path to publishing content. The most popular blogging platform in the world became the most popular Content Management System (CMS) through more than 10 years of development. The benefits of WordPressfor new users are many. The ability to create properly formatted-for-web content and publish it with a single click is empowering. This functionality is available to beginners and experts. The lower barrier to entry means that beginners, armed with this comprehensive web publishing platform, make common WordPress beginner errors on their blog. Not understanding how to customize and optimize WordPress can lead to a poorly performing, and low ranking site. Hackers target WordPress websites because they know that many have been set up by inexperienced bloggers. Here are some mistakes made by WordPress beginners that you should be aware of. I’ve given some solutions so you can patch up any issues your website might have. 2 Mistake #1 – Buying a poor performing WordPress theme. 2.4 Mistake #5 – Not optimising images. 1. Buying a poorly performing theme. 2. Using a bad web hosting company. 3. Plugins that don’t add anything or cause problems. 4. Not using search engine friendly permalinks. 6. Installing WordPress on a subdomain. 7. Not updating plugins and themes. 8. Not backing up content. 10. Using the default favicon. 11. Using too many tags. Mistake #1 – Buying a poor performing WordPress theme. This is probably the first mistake you should address. Free themes often look great and many of them function perfectly well. But what exactly are you getting when you put a free theme on your WordPress blog? You’re getting a theme that might not have the proper security standards implemented. The developers have no incentive to maintain the theme so you might be left with a broken website the next time WordPress gets an update. What about paid WordPress themes? There are literally thousands of themes for WordPress available across hundreds of developer sites, theme resellers, and marketplaces. If they cost $59 each they must be good, right? In some cases, the answer is no. Looks aren’t everything, and many beautiful looking themes are slow to load and cumbersome to use. Some have security flaws, such as certain themes on ThemeForest, as reported by WPtavern . In many cases, the issues are with plugins and are not caused by negligence on the part of the web marketplace. Developers of a theme are sometimes too busy, distracted, or uninterested in maintaining a one-off theme, to fix potential flaws. To get an idea of how a theme performs I often do my research to see if anyone has reviewed this particular theme already. Be aware that sites with affiliate links may not be 100% honest with their review. There are many websites, including this one, that use affiliate links only for products they use and really like, but you can’t count out the other type. If there’s a demo version or a lite version of the theme for download then try this out to see how it works. I run speed tests on the demo theme on the developer or marketplace site to see if anything unusual pops up. This isn’t a perfect method however as the demo site may be on a super fast server and the theme may even be modified to appear faster. Use the ThemeCheck plugin for WordPress to check for issues with your theme once it’s installed. Many themes come with preinstalled plugins such as sliders, forums, galleries. Check to see if these plugins are third-party products. If they are, it’s worth doing more research on that theme. Imagine buying a car with hundreds of extra customisation parts made by hundreds of different manufacturers, none of whom you can trust. Each of these parts could have potential security and performance issues. Would you want to drive that car? Themes with all parts coded by one developer are the safest. This may mean purchasing a simpler theme or a bare bones theme. It will be less of a hassle in the long-run. (I realise that this is intrinsically impossible due to the very nature of code on the internet being built upon other code, but you get my point). If you decide to go with one of these themes, check out the technical support plan offered by the developer. If they offer one year of support you should know that after the year you may not be able to upgrade the plugins or even the theme, unless you pay the price of the theme again, leaving you open to vulnerabilities in the code. Not all speed issues and performance issues result from the theme. 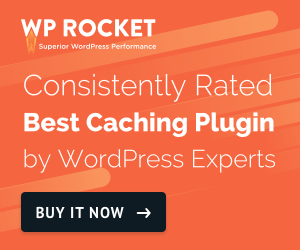 Caching software is one of the must-have WordPress plugins and can help improve the download speed of your site. However, a caching plugin such as the excellent W3 Total Cache is not the answer to a bad WordPress theme. It will help a bit but having a solid foundation will give you a better place to start from. There are three things to consider when looking at hosting providers. I didn’t include price as most major providers are offering similar deals these days. With providers offering discounts and special offers there’s a wealth of choice and saving a couple of dollars here is easy. Don’t fall into the trap of buying the cheapest hosting unless that particular hosting is a proven winner. I include technical support in the ‘ease of use’ category. A web hosting package is not user-friendly if the technical support department is impossible to contact or they are incompetent. The quality of support (technical and non-technical) offered by hosting providers is very important, in my view. Even for highly technical end-users, having a fast, well-trained, and knowledgeable team of support professionals at hand is a big plus. My recommendation for hosting provider is SiteGround. SiteGround’s technical support team is one of the best I’ve encountered. The company offers free SSL certificates with all of your WordPress websites. And finally, the high-performance hosting packages are very competitively priced. Next on my list of web hosts for WordPress websites is Namecheap. This company offers a solid service with excellent customer support. Live chat 24/7 is a great feature to have, especially as a WordPress beginner. They also offer the cheapest domain registration prices of any registrar. I haven’t mentioned providers I would not use. But let’s just say that a couple of them make up for 75% of the hosting ads and product placements I see on the internet. They do not offer a quality service. Avoid! Plugins are what make life easy when using WordPress. Adding functionality that would have cost thousands of dollars a few years ago is as simple as finding the right plugin. But some plugins are complete resource hogs. Don’t install these, no matter what they offer in terms of functionality. Use Plugin Performance Profiler (P3) to examine the performance of plugins on your site. If you have installed some plugins and noticed that your site is particularly slow you can use P3 to try and determine if one of the plugins you installed is causing problems. Correct permalink settings are very important. Permalinks refer to how the URLs of your website are formed. For better indexing in search engines, I recommend using the domain/post-name standard. WordPress, by default, uses a date type format for URLs. This is not ideal for SEO. Unfortunately, many WordPress site owner’s do not change their permalink settings robbing themselves of potential SEO gains. The setting is easy to change however. A word of caution: do not change your permalink settings if your site is not brand new unless you understand the implications. You will need to create redirects from the old URL to the new URL for every single page and post on your site. To change the WordPress permalink setting, go to Settings > Permalinks in the WordPress admin. Under ‘common settings’, you will probably find the Day and name radio button ticked. Select the radio button next to Post name. That’s an easier to read URL and it’s much more SEO friendly. Mistake #5 – Not optimising images. Not only will users have to wait for the entire file to download but your bandwidth will be gobbled up quickly. Compressing an image file (reducing the overall size) will depend a lot upon the amount of colour and detail in the file. But just to give you an idea of what can be achieved. I reduced the image below from several megabytes to 70k with simple settings in photoshop. The original size was 2800 x 1800 which is complete overkill for blog posts. Despite the fact that WordPress reduces the image size to suit the page, the extra load placed on the server increases the download time considerably. Setting the size and quality often makes very little difference to the image. In this case, I reduced the image size down to 800×600 which is more than enough for this blog. I could have reduced the quality even further by choosing a medium quality setting in Photoshop. This would have reduced the image size by almost 50% more. However, I didn’t feel the need to reduce in quality any further as this post is not image-intensive. Your images might be larger than this file but I’d recommend keeping file sizes in the body of the blog to below 80kb and header/hero images to below 150kb. The EWWW Image Optimizer plugin for WordPress is a useful tool to automatically save bytes by reducing images even further. I’ve experienced issues with this plugin on some sites, however, so definitely test before committing to using the plugin. There are tools that integrate image creation and size optimization in one package. Snappa is one of these tools that enable quick website and social media image creation. And it’s free. There’s a bit of debate over this one and plenty of people have reported conflicting results. Google claim that it makes no difference to opt for a subdomain like http://blog.domainname.com but the team at Moz doesn’t agree. To be on the safe side don’t use a subdomain unless you have a good reason to use it. Blog.Mydomain.com might look good but it’s probably not helping your traffic metrics. This should be pretty obvious but it’s an easy one to ignore. Most of the time you can carry on with your WordPress website for months without updating plugins and themes. The site continues to work and maybe you don’t have time to go through the process of updating. But this would be a big mistake. Plugins aren’t usually updated for ‘feature’ improvements. Critical security issues are what drives a lot of updates. Every software company puts out a statement about patching their operating system or plugin from time to time. What sounds like a simple improvement is often the closing of a gaping security hole in the software. Make sure to update all your themes and plugins as soon as you can. Update the themes that are not in use or delete them. Hackers target out of date software specifically to avail of the security flaws that are not patched up. WordPress will let you know when you need to update its software or plugins. You can also set it to automatically update, saving you the bother of doing it manually. 1. Check with your hosting provider to see whether they provide backups. 2. Check to see whether you have a local up-to-date copy of your files. 3. Restore the site or files from a backup. I can’t stress enough the importance of backing up. It’s easy to forget just how much time you put into your website. 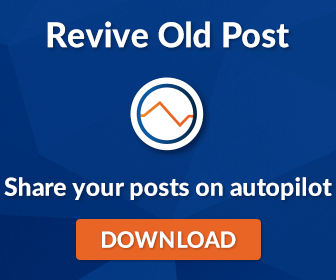 Blogs are usually built incrementally. One post per week or month. An hour’s work here and there. But add up all of that effort and you’ve got months of work. Imagine trying to get your site back to where it was in the case of a catastrophic website failure! The downtime will harm your business and ranking. But the content is irreplaceable. Take no chances, back your site up. There’s really no excuse as free and inexpensive backup software make this process simple. When I started out on WordPress the difference between the .com and .org versions of the same company confused me. WordPress.com is for people that don’t want to install the CMS on their own server. You sign up and get a domain name like mycompany.wordpress.com. While this can be an easy and maintenance-free way to get started it’s not a good long term solution. If you don’t care about the URL your site lives on or you don’t want to customize your site then WordPress.com is a good choice. If you want to add plugins and make money from your website then go with WordPress.org. Think long and hard about the two choices before you begin blogging. Making the wrong decision will cost you in the long run. In case you didn’t know, a favicon is a little icon in the tab of your browser that displays when you visit a website. The default favicon on most WordPress themes should be changed as soon as possible. This helps your brand by putting your logo in all as many places as possible. And it looks a lot more professional. Changing the favicon is a different process on every theme so check the documentation that came with yours. Go for a 32×32 pixel PNG or ICO file. New bloggers tend to go a little overboard on tags. Adding lots of tags to each post seems like a good idea and the more the merrier, right? Not quite. Be careful with the tags you use as overuse can dilute the message of your page and site. If you have a post about say website hosting and you mention a web hosting company in London then one could conceivable use London as a tag but if this is the only mention of London on the site then it’s worth reconsidering that tag. A tag indicates to Google that something is important. Be careful with the tags you use as they can dilute the message of your page and site. If you have a post about, say, website hosting and you mention a web hosting company in London then you might think that ‘London’ is a good tag. But if this is the only place on the entire site where London is mentioned then it’s worth reconsidering adding that tag. A tag indicates to Google that something is important. It’s a way of grouping concepts and ideas or showing how to find each topic. Tags are like an index. Categories can be used as chapters or list of contents. Used wisely, tags can be very powerful. But remember, use them wisely!